From past several years, getting a Bank Job and securing placement in the Banking sector has been one of the most popular career streams. 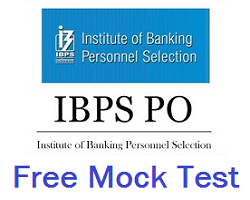 A large number of candidates appear for Bank Exams like SBI PO, SBI Clerk, IBPS PO, IBPS Clerk, RBI etc. to secure a job in one of the banks every year. Candidates who want to get placed for a banking career should be aware of all the bank exams for 2018-2019. Here is the list of all upcoming exams of 2018-2019.